It's a delight to welcome Alicia Quigley back to the salon today to chat about port wine, war and eccentricity! 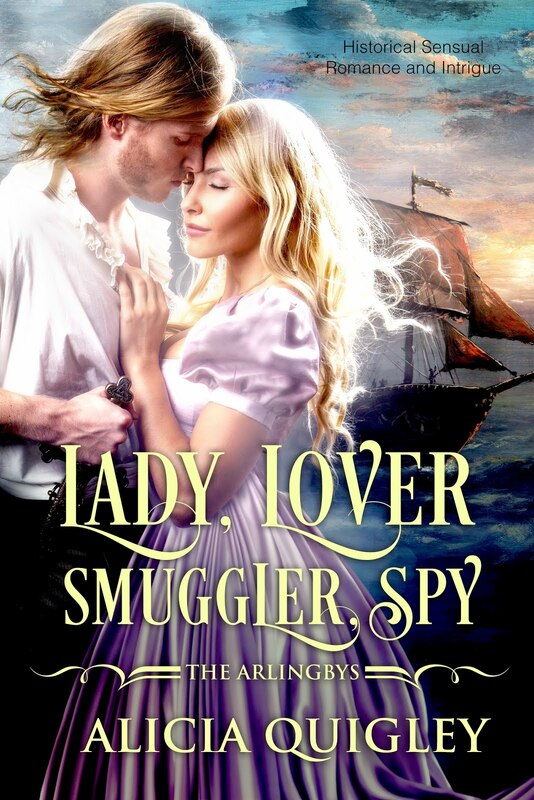 Congratulations to Regan Walker and Caffey, who have won free copies of “Lady, Lover, Smuggler, Spy”! 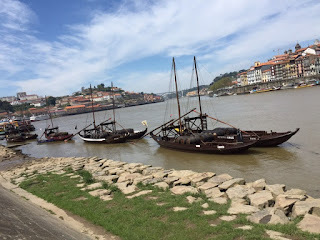 I was recently lucky enough to visit Porto, Portugal the home of port wine history and production. I had the chance to visit several port houses, learning something about the history and production of the luscious drink, and some of the less known but still colorful Georgian characters whose lives touched on this product. Wine making in the Duero valley goes back to the Roman period and the oldest port houses were founded in the late 16th and early 17th centuries. However, the real flowering of the industry coincides with the beginning of the Georgian period when a number of the port brands we still know today were established. In 1756, the region was declared a unique region and the name was protected (the 3rd oldest such designation in the world). Porto has several major advantages: it is near the mouth of the Duero River, with an excellent port for ships taking wind to England, and the Duero valley itself has some of the best wine growing conditions in the Iberian Peninsula. In addition, along the river in Porto, there are numerous caves ideal for aging wines forming a perfect confluence. Several of the existing port wine houses originated in the late 17th and early 18th century, and have founders and family histories marked by adventurous types. This is not surprising considering the difficulties of operating multi-national export businesses in that period. One of the reasons I wanted to visit Porto (besides the opportunity to tour various port houses and taste their products) was that it was the site of an important and interesting Peninsular War battle – The Battle of the Douro (also known as the 2nd Battle of Porto), which essentially drove the French out of Portugal. 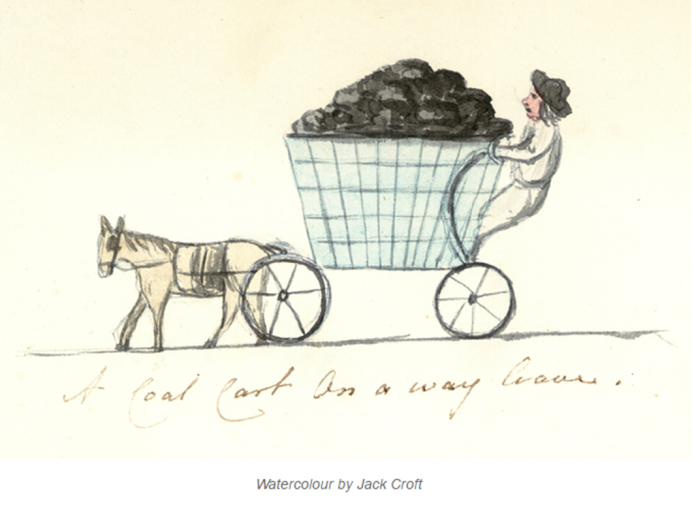 One famous port producer, Croft, which can trace its origins back to the 1600’s, was being run by the 4th John Croft at the time of the Peninsular War. The family had a long history and deep immersion in the business; the 2nd John Croft had written a definitive treatise on port wines. 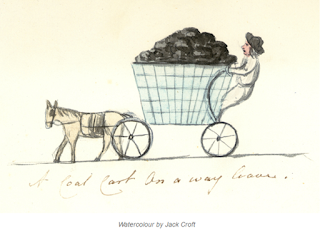 The 4th John Croft seems to have been an adventurous type, and as a wine merchant, sourcing product from around Portugal, he had every opportunity to travel extensively and meet with many local people who were largely violently opposed to the French occupation. Wellington and his staff were well known to enjoy good food, wine and large parties when the pressures of campaigning permitted. Campaign conditions in the Peninsula were notoriously harsh and access to good port was one of the few luxuries available to the officers, so it’s not surprising that John Croft became acquainted with Wellington. However, the 4th John also began gathering intelligence for him for the British. Tracking the movement of French troops in the heavy woods and mountains of Portugal would have required people with detailed knowledge of the country, and a network of trusted acquaintances, which Croft, with his long family history and business ties in the region, would have had. Wellington achieved his victory at the Battle of Porto by hiding his soldiers on the barges used to move the port across the river and surprising the French, who had destroyed the bridge and had nearly all the vessels in the area under guard. Another intelligence officer, Colonel John Waters, was instrumental in the victory at Porto. A local barber who was apparently one of his informants told Waters of four wine barges that were hidden unguarded in a marsh along the river. Early in the morning of 11 May in 1809 and with the help of some locals they sailed them to the English side without the French seeing them. Wellington was able to move 600 soldiers across the river to an unoccupied, but partially fortified seminary. From this location, the English were able to protect other troops being brought across the river from the French, and eventually roundly defeated Marshal Soult who held the town. 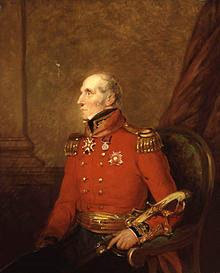 Colonel Waters went on to other exploits, and in 1811 was captured by the French before the Battle of Sabugal when he was reconnoitering French positions. He refused to give his parole and was sent under guard to Salamanca. Waters had a better horse than his guards’ and when he spied a chance to escape, he clapped his spurs to its sides and raced away between two lines of French soldiers. Some of them fired on him, while others cheered him on. He managed to duck into a wooded area, where he was able to shake the guards chasing him. A few days later, Waters reappeared at Wellingtons’s headquarters where his baggage was waiting. A dispatch explained it thus; “Lord Wellington, knowing his resolute, subtle character, had caused his baggage to be brought, observing that he would not be long absent.” Waters went on to a long and distinguished career including service at Waterloo, and retired as a much decorated general. After the French were pushed out of Portugal, Wellington called on Jack Croft to distribute relief money to the impoverished population of northern Portugal. 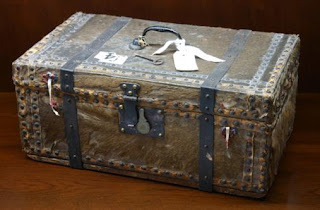 He traveled around the country distributing money and for his efforts he was made a baronet, Sir John Croft of Cowling Hall, and later given the title of Baron of Serra da Estrela by the Portuguese crown. While my new release, “Lady, Lover, Smuggler, Spy” does not take place in Spain or Portugal, my heroine’s character and life is heavily influenced by her experiences following the drum during the Peninsular War. Visiting these sites as well as reading the history has given me more insight into the conditions and her possible motivations. The following excerpt is an example of those motivations. Summoning up a vision of the ill-tempered Lord Upleadon, whose snobbery was legendary even among the ton, Sir Tarquin could easily imagine that he had made the Season a misery for his daughter. “I can easily imagine he was inexcusably harsh in expressing his disappointment,” he replied. “I see you know my father, so I won’t try to deny it,” she replied with a ghost of a smile. “But I can’t regret any of the difficulties, for I did discover the powerful joy of knowing that my life had meaning and purpose, and that overcame all else. Written content of this post copyright © Alicia Quigley, 2016. It does sound an excellent book. It took me a while to unravel the difference between Port, and the similar-sounding Porter, aka 'A heavy wet' as Heyer would put it, the strong brown ale beloved of the lower classes and probably forming the greater part of the calorific intake of many working men. Disappointing that it's only available as kindle. Very interesting. 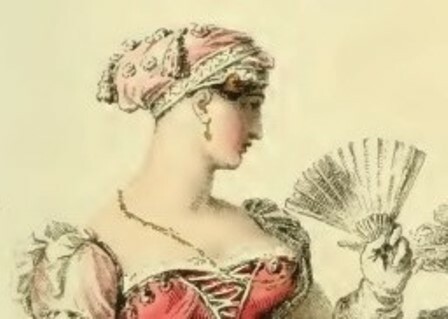 A female Sharpe. Loved the post on port... it's one of my favorite wines. The book sounds fascinating, too. 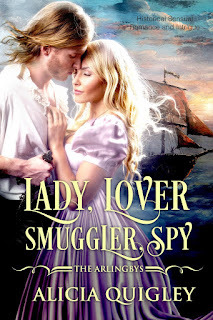 Love spies and smugglers. Thank you for your comments, Sarah. Currently, I am under an exclusivity agreement with Amazon for this book. However, if you win the giveaway, I may be able to find a way of sending a format that works for whatever reader you use. Thank you for your comment, Jo! I never thought of it that way, but it certainly fits! Alicia, thank you,it's appreciated, but readers are not for this neo-Luddite. I use dead tree and squid juice format and I'm not about to change; the small screens give me a migraine, I tried my mother's Kindle and I had a vicious sick headache. I'm waiting for you to take the next logical step with Amazon and bring it out on CreateSpace, which is, after all, free! Indeed they are... all that swashbuckling and secrets! I just love learning the history related to these historical romances I read! First time I've heard about how the Port wine came to be! I've never had it (not much of a wine drinker). Love your books! I can understand, Sarah. I've looked at Createspace in the past; perhaps it's time to look again. While it may be free, when I originally researched it, the books had to be priced so high in order for there to be *any* profit at all (even less than a dollar a book) that I didn't think readers would pay that much. I certainly wouldn't pay that amount myself. I will look into it again, though. Maybe things have changed! Thank you, Caffey! That's one of the things I enjoy the most about writing historical romances: the research into history. Thank you for your kind words about my books, too! If you ever do decide to give Port a try, I suggest going for at least a 20-year-old vintage, if not 30. Pricier, but worth it! I will happily pay $12/£8 for a book I particularly want to read, which is what you need to make a few bob on it, and just limit my book buying to the ones I really want. I publish mine in 5x8 format which is slightly cheaper than the 6x9 and they fit in a handbag or coat pocket. there are compromises to be had over font size which will change the length of the book, and thus the price, which is why wartime editions tend to be between 9 and 10 point which is uncomfortable to read. 11 point is a good compromise.